With this tutorial you need to get the latest version of GCFScape (1.8.5 ) to open the VPK files and extract some files from there. So let’s starts, in that tutorial we will extract some Dota 2 assets into a source filmaker project we have called Dota_2. We will extract the important files, so the model viewer will displays the models and textures correctly. 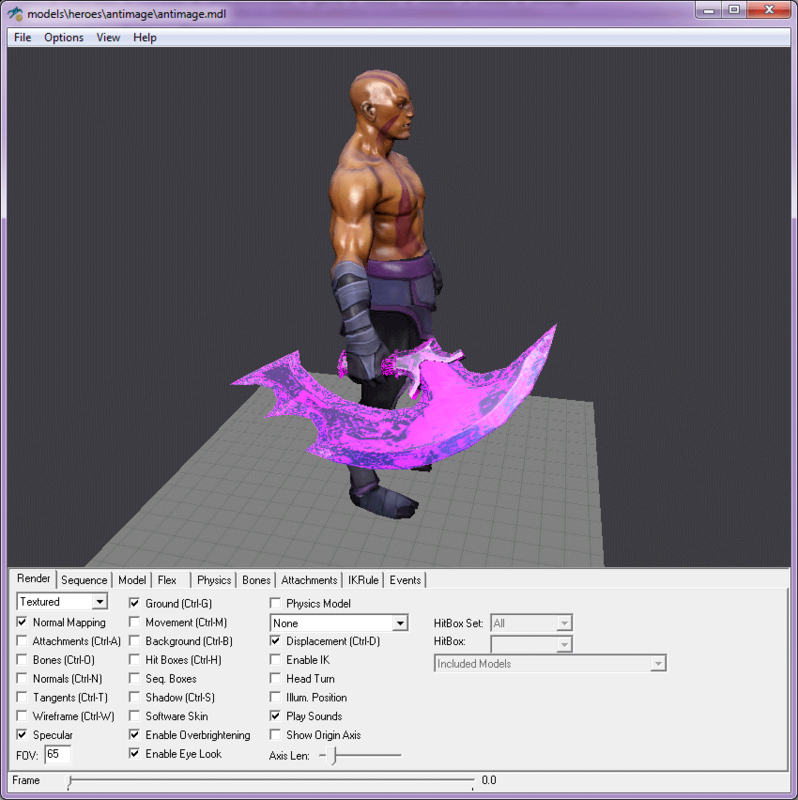 I will Extract the Antimage models and his default weapon (The Slasher). so you can simply extract the mdl files and associated files that comes with the mdl file. Go to models/items/antimage/ and from models/heroes/antimage/, you must to extract : common/sourceFilmmaker/game/dota_2/models/heroes/antimage/. Now, from : materials/heroes/antimage/ you must to extract Common/sourceFilmmaker/game/dota_2/materials/models/heroes/antimage/. Dota 2 workshop submission require that you follow the exact same shader that the weapon use originally. Now launch the model viewer from the SFM launcher. The Assets are now properly extracted and readable by the model viewer. if you read the Dota 2 assets creation guide, click here to return to the summary of the Guide. You should want to learn how to decompile an MDL file using Studio Compiler or Crowbar.